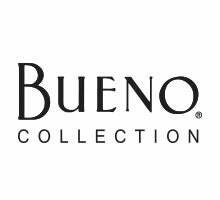 Crafted in a soft pebbled washed polyurethane, the tan B81902 from BUENO ads a little edge to your style with the antique brass detailing. 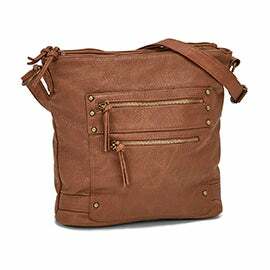 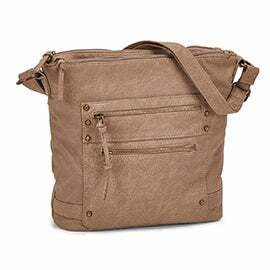 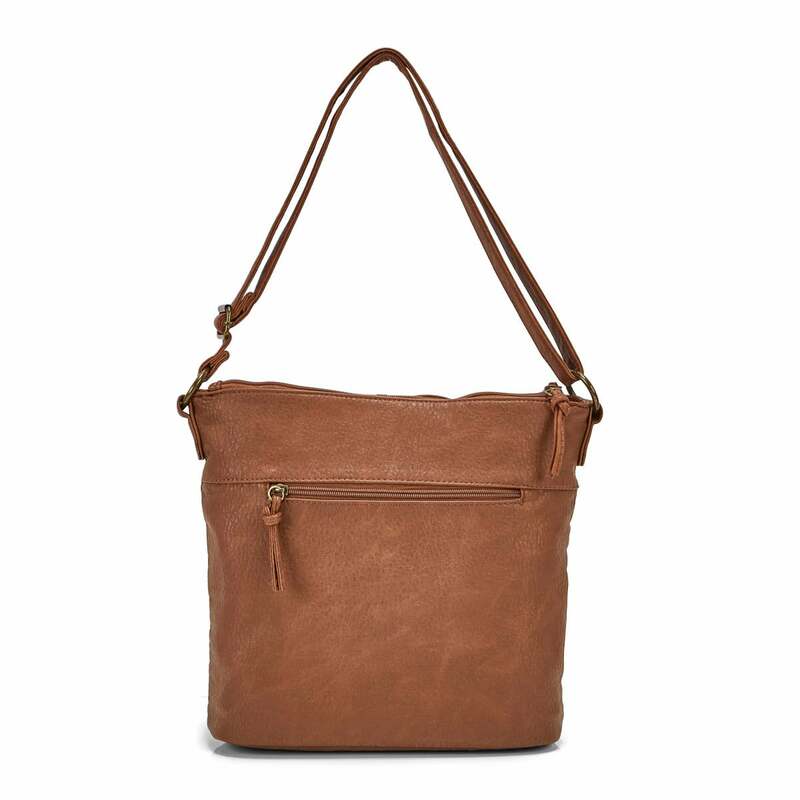 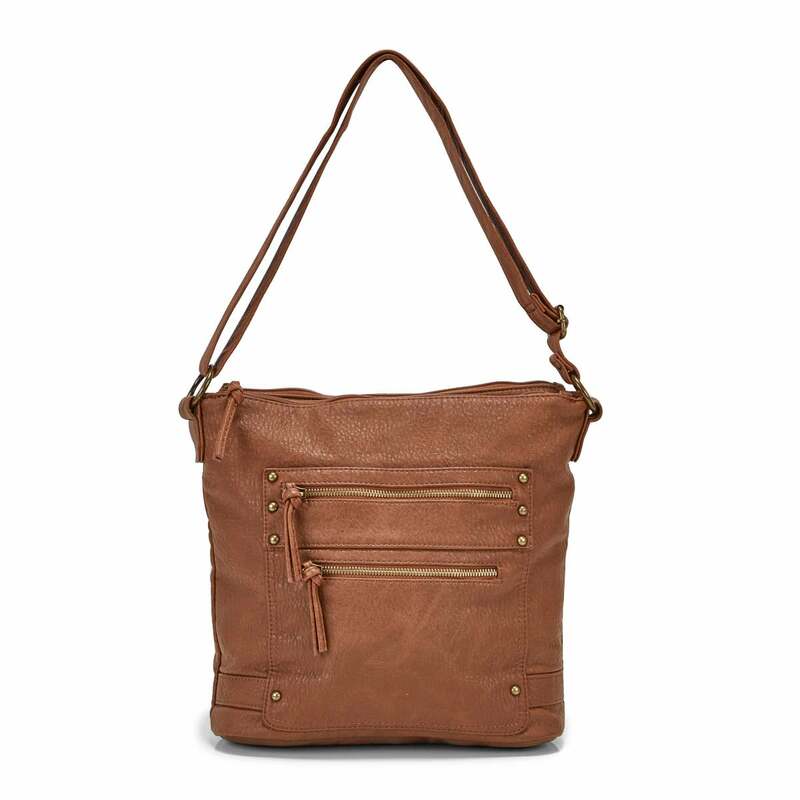 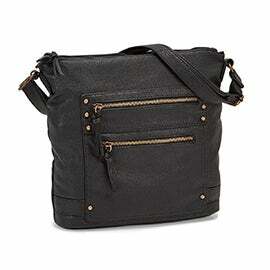 It also deliveries on space with the generous main compartment & multiple zippered pockets both inside & out. You certainly won't need to leave anything behind.